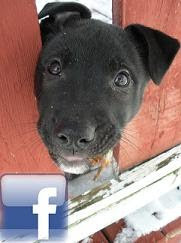 Ador-A-Bull Dog - Blog: Dilbert - (almost) available for adoption in NS. This bat eared little man is all kinds of super smart and spunky! He's, hopefully, catching a ride to NS this Saturday to spend a couple weeks in foster care before being made available for adoption.